January 8: 5 POWER Lessons From 5 Leaders Who Made History On This DAY! You are sure to go back with a fresh and inspiring mind when you finish this read, with these lessons from the 5 great leaders born this day, whose journeys of persistence, courage, determination, innovation and humble sacrifices, shall live through eternity! 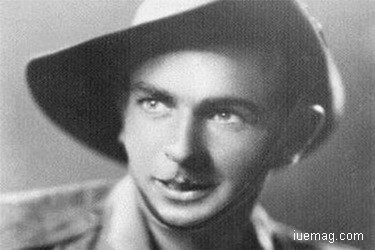 Bruce Steel Kingsbury was an Australian soldier who was awarded the ‘Victoria Cross’ (VC), for his gallant actions during the ‘Battle of Isurava’ in the Second World War. He was the first serviceman to receive the VC for actions in Australian territory. Kingsbury was a qualified printer industry but instead chose to assist his father in the real estate business. He later joined a farm as the caretaker. At Melbourne, Kingsbury rejoined his father’s real estate business in Northcote and worked there till 1940. The war in Europe was beckoning him to enlist in the army and he signed up for Australian Imperial Force, despite opposition from his parents. On 29 August 1942, during the Battle of Isurava, Kingsbury was one of the few survivors of a platoon that had been overrun by the Japanese. He immediately volunteered to join a different platoon, which had been ordered to counter-attack. Rushing forward and firing his Bren gun from the hip, he cleared a path through the enemy and inflicted several casualties. Kingsbury was then seen to fall, shot by a Japanese sniper and killed instantly. His actions, which delayed the Japanese long enough for the Australians to fortify their positions, were instrumental in saving his battalion's headquarters and as a result, he was posthumously awarded the ‘Victoria Cross’, Australia’s highest military decoration. For a young man of 24, to display such remarkable bravery in the face of the enemy is a story that will live forever. 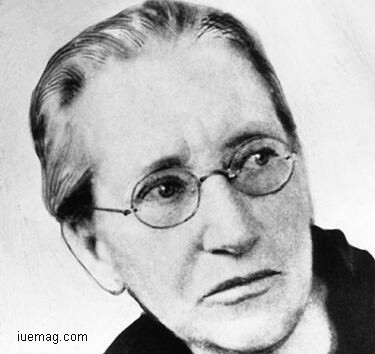 Emily Greene Balch was an American economist, sociologist and pacifist who dedicated her life to humanitarian causes. She was one of the central leaders of the Women's International League for Peace and Freedom (WILPF) based in Switzerland, for which she shared the Nobel Peace Prize in 1946 with John R. Mott. Born to well-educated Unitarian parents in Boston, she was raised in an intellectually stimulating environment. She studied economics at Bryn Mawr College and won the college’s first European Fellowship. She embarked on a highly successful academic career which she combined with her long-standing interest in social issues and became a leader of the Women's Trade Union League and focused on issues related to immigration, juvenile delinquency and the economic roles of women. She had always been a pacifist at heart and when the World War I broke out in 1914, she ventured into political activism and became active in pacifism. She worked tirelessly throughout the 1930s to help the victims of Nazi persecution. In 1939 she published ‘Refugees as Assets’, urging the U.S. to admit refugees from Nazis. For her commitment to humanitarian causes, she soon became an American leader of the international peace movement and played a central role in the International Congress of Women. She is best remembered for her work with the WILPF, which aimed to unite women worldwide who oppose oppression and exploitation; she continued her involvement in humanitarian causes well into her seventies and refused to be held back by age or health issues. 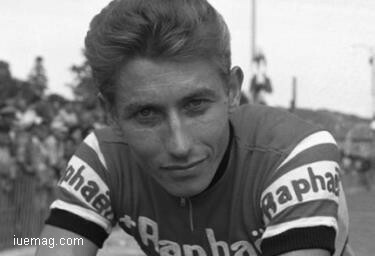 Undoubtedly one of the greatest cyclists ever, Jacques Anquetil’s journey in cycling started as an amateur, who went on to become a champion cyclist marking a place in the history of the sport, becoming the 22nd most popular cyclist of all time. On December 2, 1950, he got his racing licence and picked up the skill fast, winning several tournaments as an amateur cyclist. In 1951 he won the ‘Rouen’s ‘Prix Maurice Latour’ and in the following year he earned the French national amateur road championship title. He was included in the French team in the ‘Summer Olympics’ and earned a bronze medal in the hundred kilometre team road race. He was offered 30,000 old francs per month to ride as an independent cyclist for ‘La Perle’. In 1953, he emerged as the winner in his first professional race ‘Grand Prix de Lugano’ as also the ‘Grand Prix des Nations’ race thus becoming the champion of time trial at nineteen years of age. The ‘Grand Prix des Nations’ race was won by him eight more times. On June 29, 1956 he was ultimately successful in beating Coppi’s record of 45.848 km in an hour and creating a new hour-record of 46.159 km. His winning spree in ‘Tour de France’ continued for 5 years, thus becoming the first rider to win the title for five times. His exceptional ability to beat the clock earned him the title ‘Monsieur Chrono’. Musician and actor Elvis Presley endured rapid fame in the mid-1950s—on the radio, TV and the silver screen, and continues to be one of the biggest names in rock 'n' roll. 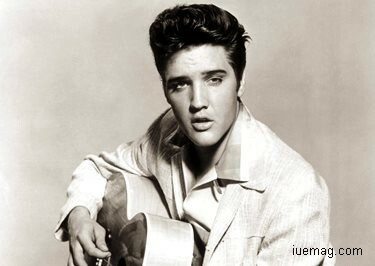 Elvis Presley came from very humble beginnings and grew up to be renowned as ‘The king of Rock and Roll’. Elvis’ musical influences were the pop and country music of the time, the gospel music he heard in church and at the all-night gospel sings he frequently attended, and the black R&B he absorbed on historic Beale Street as a Memphis teenager. After graduating in 1953, he worked a number of jobs while pursuing his musical dream. He cut his first demo record at what later became known as Sun Studio that year. Presley soon began touring and recording, trying to catch his first big break. “That's All Right” was Presley’s first single in 1954. The very next year, Presley began to develop a following with fans being drawn to his unusual musical style. That same year, he signed with RCA Records. Presley was on a roll, scoring his first No. 1 single with “Heartbreak Hotel,” as well as his first No. 1 album, ‘Elvis Presley’, and signing a movie contract with Paramount Pictures—all in 1956. Soon, Presley was everywhere - on the radio, television and the silver screen, working as a musician and actor. With a sound and style that uniquely combined Elvis' diverse musical influences, blurred and challenged the social and racial barriers of the time, he ushered in a whole new era of American music and popular culture. He was the first performer whose concert was broadcast via satellite. He received numerous music awards and was included in several music halls of fame. He is also the best-selling solo artist in the history of music. It is estimated that Elvis had sold more than one billion records globally. His most memorable hits include ‘Jailhouse Rock’, ‘Hound Dog’ and ‘Blue Christmas’. Rev. 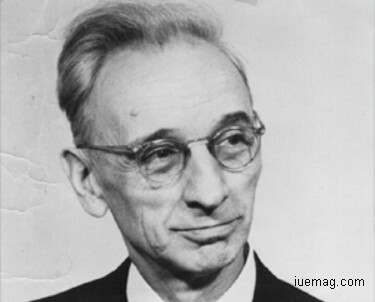 A. J. Muste, regarded by many as America’s Gandhi, was best known for his role in the labour and left-wing movements of the 1920s and ’30s and for his leadership of the American peace movement from 1941 until his death in 1967. He also had considerable influence on the American civil rights movement. During World War I, Muste was a pastor and a peace activist. While serving a church in Manhattan he was influenced by the “social gospel” and left his fundamentalist roots. As the war raged in Europe in 1916, Muste, by now a committed pacifist, joined the newly-formed Fellowship of Reconciliation. When it became apparent that the U.S. was moving steadily towards entering the war, he participated in a peace demonstration. As the U.S. formally entered the war, Muste resigned his pastorate to engage in more peace work. He volunteered with the Boston chapter of the Civil Liberties Bureau, whose work was to provide legal aid for political and pacifist war resisters. Following the end of the war, Muste shifted to the labor movement. He became a leader in the famous 1919 Lawrence textile strike that lasted 16 months. Police brutality against the strikers was pervasive. Muste was clubbed by police so severely he couldn’t stand, and was hauled off to jail. He preached nonviolence, urging workers to “smile as we pass the machine guns and police.” The strike ended with significant gains for the workers and propelled Muste to national attention. He continued his peace activism to the end of his days. As he turned 80 he was a regular presence in the protests against the war in Vietnam. Muste was a bright light for all the movements for peace, civil rights, freedom and justice. Any facts, figures or references stated here are made by the author & don't reflect the endorsement of iU at all times unless otherwise drafted by official staff at iU. This article was first published here on 8th January 2017.